It’s a busy weekend of tennis with the finals for Prague and Rabat set and the main draw of Madrid starting on Saturday. Firstly in Prague, Saturday’s all-unseeded final will be contested between Mona Barthel and Kristyna Pliskova. Barthel has won seven (!) matches, coming through qualifying and even saving three match points in her second round qualifying match against Jasmine Paolini. Barthel secured the best win of her year so far and a first top 20 win since Stanford 2015, beating the highest seed remaining, Barbora Strycova, in the semi-finals, 3-6 6-2 6-3. Kristyna Pliskova has had a few slices of luck come her way this week as she received a walkover in the second round and was the fresher in the semi-finals with Jelena Ostapenko having had to finish her quarter-final earlier on Friday. Still, an excellent and unexpected run for Kr. Pliskova on clay! For the third straight year, the crowd will have a home player to cheer on.
.@KrisPliskova eases past Ostapenko 6-4, 6-2! 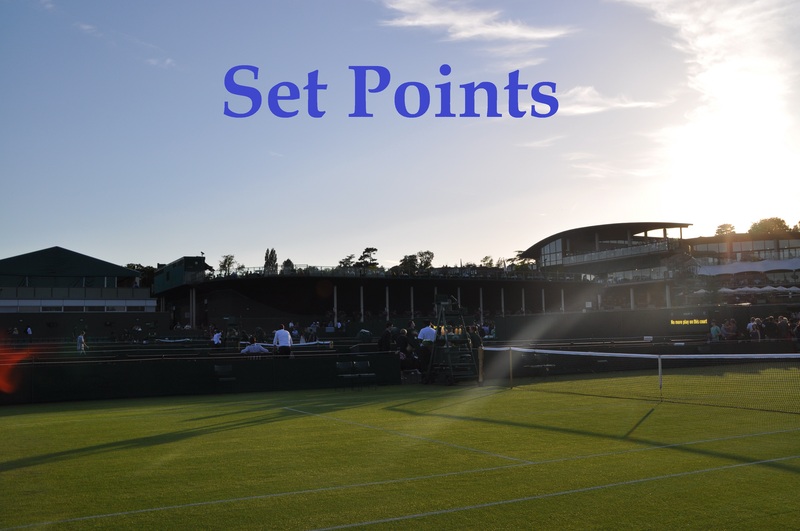 Here’s one point from Thursday’s match between Barthel and Camila Giorgi worth sharing! In Rabat, Anastasia Pavlyuchenkova will play Francesca Schiavone in Saturday’s final. Pavs is building a nice run of form, winning her ninth consecutive match on the WTA tour with a pretty comprehensive 6-4 6-0 win over Sara Errani in the semi-finals. Schiavone is also on a nine match winning streak with a hard fought 7-5 6-4 victory over Varvara Lepchenko in the second semi-final.
.@NastiaPav books a spot in #WTARabat Final! Tiebreak Tens took place on Thursday night with Simona Halep and Grigor Dimitrov crowned the champs. There were some nice moments up at the net! A sweeping main draw preview for Madrid is up on the blog including mini-previews for eight of the most tantalising first round matches. Agnieszka Radwanska is out of both Madrid and Rome, citing a foot injury. Something feels odd about this announcement since Radwanska was part of Tiebreak Tens on Thursday. I wonder if something is going on behind the scenes. Anyway, hope all is good with Aga and she’ll be back for the French Open. The doubles draw for Madrid is also out. I’m really enjoying The Body Serve Podcast this year. This week’s episode included a recap of Stuttgart from René Denfeld who was on site at the Porsche Tennis Grand Prix. Player announcements are coming thick and fast for Eastbourne. Caroline Wozniacki and Svetlana Kuznetsova have joined the original quartet of Johanna Konta, Karolina Pliskova, Dominika Cibulkova and Agnieszka Radwanska. There are few Centre Court tickets left for the latter stages of the tournament so get in quick if you are planning to attend! 😀 Former champions @CaroWozniacki & @SvetlanaK27 are returning to #AegonInternational Eastbourne! The full list for the Aegon Open in Nottingham is now up including Johanna Konta, Lucie Safarova, Naomi Osaka and Ashleigh Barty. 10 of the @WTA World's Top 50 are coming to the #AegonOpen Nottingham in June! And finally, I didn’t get tickets for Wimbledon in my club’s ballot on Thursday 😞. Therefore, my last chance will be Ticketmaster to try and get Court 3 tickets the day before play… queuing and camping is not for me! May 5, 2017 in Prague, Rabat, Set Points, WTA. Radwanska may be out in Madrid, but she is looking good with all her make-up on (in the photo above). It’s absurd that Sharapova gets a wildcard, she should have to work her way up the rankings like anyone else ranked 1000 plus or whatever she is, she put herself there, but forget what’s fair to other players and what is ethical wta, it’s all about money money money, pathetic. Sports stadiums with retractable roofs such as Madrid make viewing difficult with the high contrast between sunlight and shadows. IMO they should put up a _shade net_ just below the roof to reduce the sunlight by about 50%. Always happy to see a player go through qualifying and win a tournament, congrats Mona Barthel. I’m delighted for Mona! Been following her career closely for a while and she’s had it rough with illness and injury. Shame that the start of Madrid has kind of masked the end of Prague and Rabat somewhat. Yes, great win for Mona. Pavs did well to win in Rabat too (her second title of the year), and it was nice to see the obvious warmth between her and Francesca (I believe they were old doubles partners). I agree that something needs to be done about the scheduling though; it turned into farce in the end when players started wondering out loud whether or not they’d be able to qualify for Madrid if they reached the final of their respective tournaments. It could be a first come first serve basis. Which ever tournament was established first gets the priority. Other tournaments will have to reach a set threshhold then they can be given parity or priority. SHARAPOVA VS. BOUCHARD!!!!!!!!!!!! Let the fur fly!